As you browse around different websites seeking nice places to stay in the Finger Lakes, you’ll notice that there are plenty of hotels in the area. We’re probably not going out on a limb by guessing that renting a hotel room is at the top of your mind. Finding hotel accommodations is what many visitors to our beautiful area do, so you’re actually part of the mainstream of thought. However, just because hotels get a lot of publicity, and are the presumed “go to” choice for many vacation travelers, doesn’t mean they are the only choice. Are hotel rooms really that great? Hotel rooms are mainly popular because they offer convenience for travelers, but there’s a big drawback to staying in a typical hotel room. One common issue is that rooms tend to be small and you must do your best to maneuver around in cramped quarters. If you’ve ever spent any significant amount of time staying in a hotel room, you understand their space limitations. Basically, you’re living in a bedroom with a small adjacent bathroom. Hotels do their best to make you feel comfortable by throwing in “extras” such as air conditioning, TV and Internet access, but you still have to make due with whatever space they give you. What if you could stay in a comfortable home away from home? If you’re fine with living in a single room with one or two beds for the duration of your vacation, then choose any area hotel. However, if you want to experience real comfortable accommodations that are similar to what you experience at home, you owe it to yourself to check out Skaneateles luxury vacation rentals. What’s the difference between a hotel room and luxury rental? Good question. One big difference is that staying at a luxury vacation rental gives you ample space to move around. Instead of a single room, you can roam freely around a home that has a living room, dining area, kitchen, bathrooms, bedrooms and more. Imagine not having to stuff your suitcases into a tiny space, or trip over them trying to get to another part of the room. When you stay in a luxury rental, you can choose to go out to eat, or stay in and cook breakfast or dinner. There’s room to enjoy a nice meal as you relax on the sofa watching TV. When you look out the window, your view is of a scenic lake and quaint village. Perhaps you’ll cozy up by the fireplace and snuggle with a loved one, or read a book. Rent a home with a patio so you can go outdoors and enjoy the fresh air without having to bother going out in public. Essentially, staying at a luxury home during your vacation allows you to continue enjoying all the comforts of home life. It’s as if you’re staying with relatives without the relatives being around. Check out our current Skaneateles luxury vacation rentals and book your spacious home today. March is a month that is forever sandwiched between winter and the first inklings of spring. Thus, this month tends to have a hopeful feel to it, because everyone is looking forward to fair weather days. Our Skaneateles luxury rentals in The Finger Lakes are one of the best places to spend some quality time during March, because you can enjoy activities that uplift your spirits as you wait for the end of winter to arrive anywhere in the region within easy driving distance of one of our properties. Get ready to be charmed right down to your toes by Annie and her friends. This beloved family musical is presented by Tripp Foundation, and you have a short time to grab tickets. This new version of the award winning musical is directed by Martin Chernin with choreography by Liza Gennaro. Enjoy favorite songs such as “Tomorrow” and “I Don’t Need Anything But You.” Get ticket information at clemonscenter.com/broadway-series. March 9 – 10. If you grew up in the 1950s and early 1960s, or just love the music of that era, you’ll get a kick out of this live show. During this salute to iconic groups such as the Drifters, The Platters and The Marvelettes, you’ll be treated to timeless classics. To buy tickets go to clemonscenter.com/event/golden-oldies-spectacular. March 12. 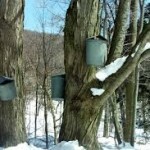 There’s nothing like the taste of fresh maple syrup fresh from the maple tree. Take advantage of this opportunity to learn all about how maple syrup is made by attending this fun event. The Watson Homestead is sharing all of its secrets, and you’ll get to see how trees are tapped, how syrup is collected, and how its processed. Take home pure maple syrup and maple sugar candy. Visit watsonhomestead.com for pricing information. 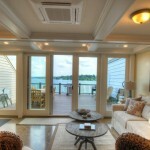 March 18 – 20 and then come home to a warm luxury vacation rental home in Skaneateles. Go back in time when bell bottoms, love beads and peace signs were hip and happening. Come and hang out at the coolest club in town and get your groove on while dancing to British Invasion music. The Geneva Historical Society is putting on this event, and they’re raffling off several 60s themed gift baskets. Dinner and pop-up exhibits are included in the fun. Dinner and Concert: $50 per person. Concert only: $30 per person. More details at genevahistoricalsociety.com. March 19. Celebrate Easter with family and friends and enjoy a scrumptious buffet style meal. Anthony’s Restaurant located at the Elmira Holiday Inn is preparing a grand spread that includes breakfast favorites such as bacon, eggs, sausage and waffles. Also on the menu is glazed ham, grilled chicken and a pasta dish. Adults: $19.95, Teens: $9.95, Kids 5-12: $3.95 and kids 2 and under eat for free. Reserve seating at 607-734-0402. March 27. While March madness is in full swing for basketball fans, take a moment to check out some amazing Finger Lakes vacation rentals. Now is the time to reserve your ideal vacation home for Spring break, spring and summer weddings and relaxing vacations. Book now!